PAIR WITH ADVERTISING PROS THAT UNDERSTAND THE DIGITAL AGE. If your business is not utilizing social media, you are missing a HUGE target. Facebook, LinkedIn, Instagram, Twitter, Pinterest, and even the trendy teen Snapchat offers advertising that allows you to grow your sales and your fanbase. Not to mention social media advertising offers A/B testing using platform analytics to determine which ad concurred them all! We are not saying to use EVERY social media platform for advertising. Once you meet with the M3 Growth pros, we will help determine what platform is most effective for your advertising needs. We all use search engines on the daily to inquire about things we need to know, what to buy and are just curious about. 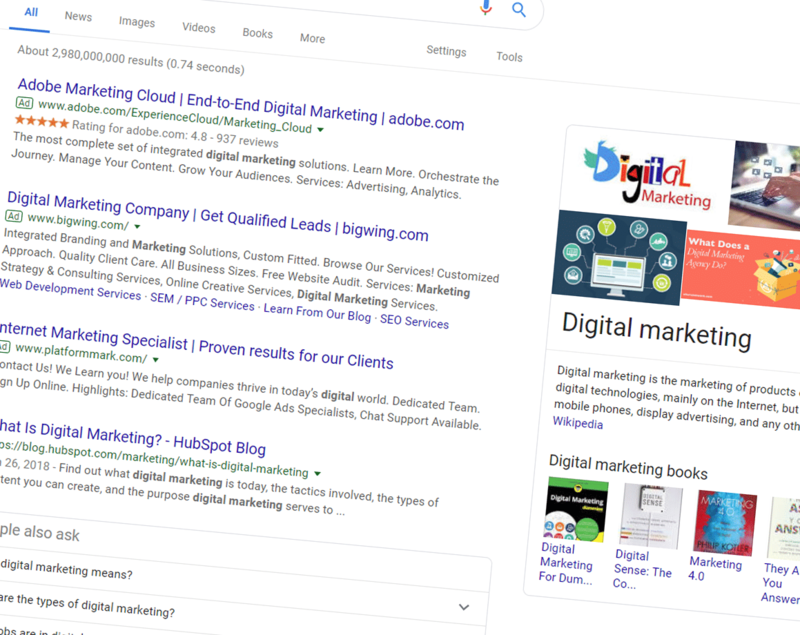 These search engines, especially Google, continue to evolve their page layouts to show business advertisements all over the page (unlike in the past when ads only ran on the borders.) This allows the eyes of the user to be tricked, and as long as your content is relevant to the searchers intent, you just landed yourself a conversion. Don’t get bothered with the “how”, that is what we are here for. Gone are the times where newspaper ads, magazine ads, and billboards helped you reach your customers. The internet and the way people use it has changed the game when it comes to making sure your target market sees what you have to offer. So, don’t get your feathers ruffled because you’re not sure what keywords to target in your ads or determine what the cost-per-click or cost-per-impression may be. You let your M3 Growth pro know who your target is and let us do the research and the legwork to deliver ad conversions and company growth. Do you know what social media content will draw the most reader interaction? When should you use which social media platform? Trying to choose where to run your ads? 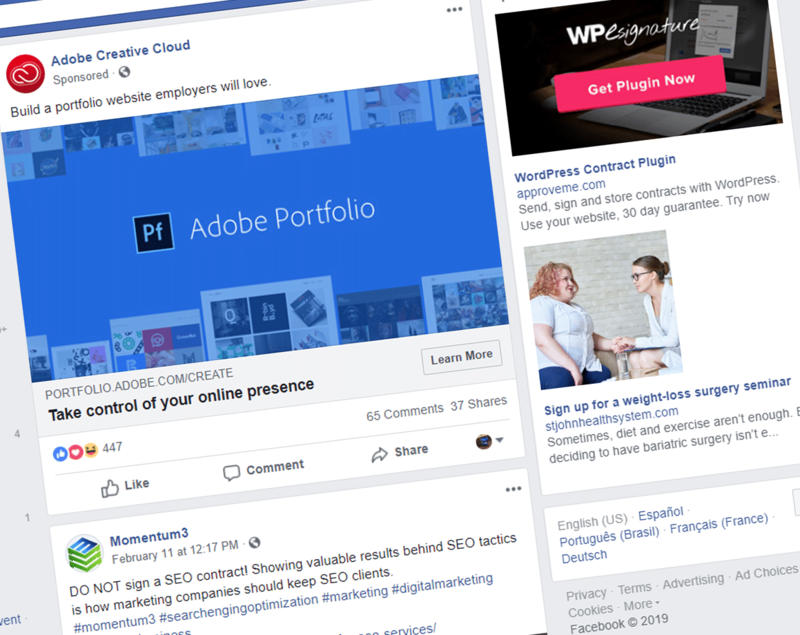 Facebook ads, Google Adwords, Twitter ads and LinkedIn ads? We know what works and what platform to choose based on your target. What are Pros and Cons of Digital Ads? Target exact keywords on Google. Can do text or display ads for various audiences. Can target using the Google network beyond just Google searches. Oldest and the most robust. Great for general demographics (i.e. Women 30-60, Men in Tulsa between 18-25). Offers retargeting and email list targeting. Can’t always target a page’s followers (unlike Twitter). Can target people who subscribe to exact twitter handles. Fairly inexpensive, especially for video views, but including normal tweets and pictures and tweets. Go directly after companies, positions (CIO’s, Accounting Managers, Chefs, etc. ), company size and more.